Like Lionel Richie, I was "dancing on the ceiling" with excitement over my Halloween craft idea. Are you familiar with the British band, Frankie Goes to Hollywood? Their biggest and most famous hit was, "Relax." (Come on, you guys, I know you know this!!!) The catchphrase, "Frankie says relax," became pretty trendy back in the day. With my idea brewing in my head, I knew was going to pay homage to my love for the 80's. The fact that it would be Halloween themed was just a "tubular" bonus! Are you ready for it? FRANKIE SAYS RELAX! How clever and witty is that?!? The end product is so unbelievably cute (and hip), my friends, that I could jump for joy! 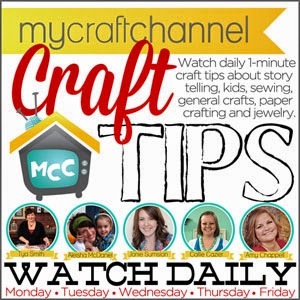 If you'd like to see my totally rad tutorial, you can do so here. A "big-permy-hair" THANK YOU to the "gnarly" Wood Connection for giving me the opportunity to guest post for them! I love that store more than Duran Duran AND Miami Vice. (That's big love!) 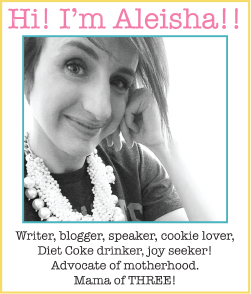 The Wood Connection has generously donated a $25 gift certificate to be given to one lucky Mama Leisha reader. TO ENTER: Comment below! (BONUS ENTRY: Follow Mama Leisha on Instagram.) Winner will be notified via email on OCTOBER 13! 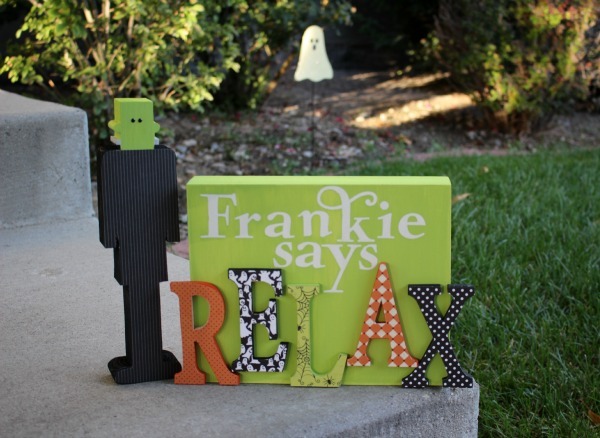 Now run to the store and get a "Frankie says Relax" project! And be sure to sing the song while you're painting! This is so rad. I totally love Frankie! You make the cutest stuff!! This is so cute! I love decorating for Halloween! It makes me happy! This is gonna make you FAME-ous (even more than you already are :) Super cute! I love it! I just crafted my first wood creation a week ago and I am loving it. What a fun topic to blog about! Your project turned out super cute! and yes, I do follow you on IG! ha ha, so adorable! Very clever! haha! this is SO clever! I love it.